Highlight - Celebrating the Gift of Life, 50th anniversary of the first heart transplant in the world and 20th anniversary of MOHAN Foundation - Musical concert by renowned Carnatic music vocalists Ranjani & Gayatri. MOHAN Foundation, an NGO that has been working in the field of deceased organ donation for the past 18 years signed a landmark Memorandum of Understanding (MoU) with NHS Blood and Transplant (NHSBT), UK on 30th January 2015 in Chennai. The MoU was signed in the presence of Dr. J. Radhakrishnan, IAS, Principal Secretary, Health and Family Welfare, Government of Tamil Nadu. 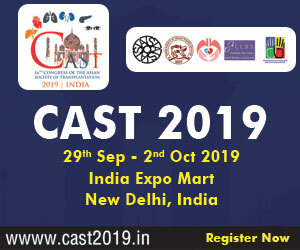 The objective is to promote collaboration and knowledge sharing between the two organisations with the aim of increasing organ donation rates in India and the United Kingdom. To commemorate “World Organ Donation Day”, MOHAN Foundation in collaboration with the Department of Nephrology, Madras Medical Mission is organizing a one day workshop - “Educating Nurses on Organ Donation” for nursing students of various colleges from Tamil Nadu and Puducherry on Thursday, 28th November 2013 at Madras Medical Mission, Chennai. The workshop will be inaugurated by Dr. J. Radhakrishnan IAS, Secretary to Government, Department of Health & Family Welfare, Government of Tamil Nadu between 9.30 am and 10.00 am. Close to 350 nursing students and staff nurses will be attending the workshop. MOHAN Foundation's Annual Workshop for Transplant Coordinators is aimed at bringing to the fore the exemplary work done by transplant coordinators in the field of deceased organ donation and transplantation. The two-day workshop is being jointly organised by MOHAN Foundation and National Association of Transplant Coordinators (NATCO). Ms. Santi Krishnan is a Transplant coordinator working with the National Transplant Resource Centre (NTRC), Kuala Lumpur, Malaysia. She is coming to Chennai to attend the 5th Annual Transplant Coordinators' Workshop that is being organized by MOHAN Foundation (Multi Organ Harvesting Aid Network) on 28th & 29th September 2012. She will be sharing the Malaysian Experience with deceased organ donation from the perspective of a transplant coordinator. Organ Donor Week is celebrated every year in the month of August. This year, MOHAN Foundation (Multi Organ Harvesting Aid Network) is organizing a special programme in Chennai to commemorate the deceased organ donors who have passed on their life to others. 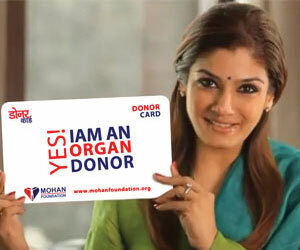 Thursday 5th April, New Delhi: MOHAN Foundation (Multi Organ Harvesting Aid Network), a not-for-profit organisation yesterday successfully launched its first function in the capital to create awareness about organ donation. Chennai, 22nd January 2012: In an attempt to raise Organ Donation Awareness within the city, MOHAN Foundation (Multi Organ Harvesting Aid Network), a not-for-profit organization organized an 'Organ Donation Rally' at the Marina Beach from 7 AM to 9 AM. A first-of-its-kind sand sculpture on organ donation was also created on the sands of the Marina beach. There is a huge shortage of organs in India and patients die while on the waiting list as they do not get an organ on time. A brain-dead person's organs can give a new lease of life to at least nine patients suffering from organ failure.